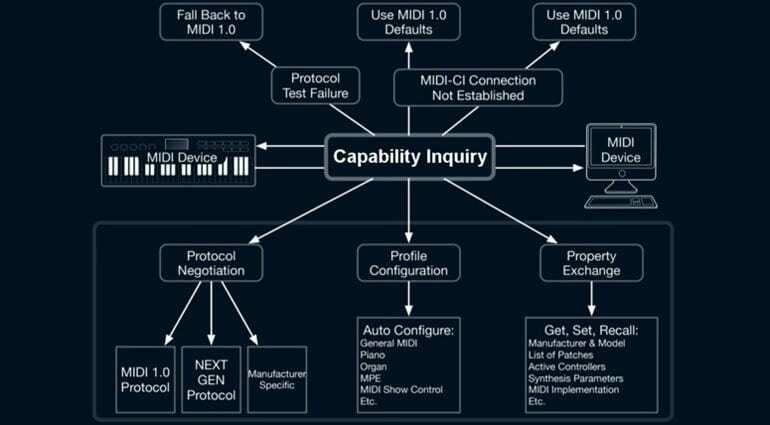 The MIDI Manufacturers Association (MMA) has adopted both MIDI Polyphonic Expression (MPE) and MIDI Capability Inquiry (MIDI-CI) into the official MIDI specification. This makes it the most exciting thing to happen to the vital MIDI communication protocol in about 30 years. We’re pretty familiar with MPE now. It used to be called Multidimensional Polyphony Expression, but has now been smartened up as MIDI Polyphonic Expression, which makes a lot more sense. 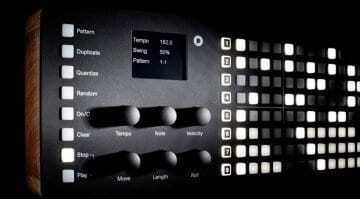 This the functionality found in ROLI Seaboard controllers and the Linnstrument amongst other emerging devices. They give you the power to apply expressional controller data to individual notes being played together, where previously they would be applied globally. Consider pitch bend or moving the mod wheel – it affects all notes being played, whereas MPE treats each note independently. The controllers tend to be velocity, pitch, aftertouch, slide (forwards/backwards) which is mappable and lift, or the release of a note. 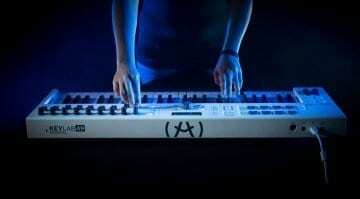 MPE works by assigning each note its own MIDI channel – this is what makes it compatible with existing MIDI systems. 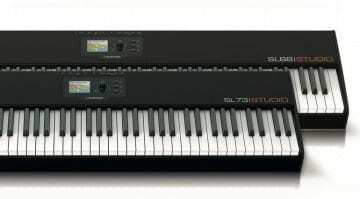 It still requires both the software or hardware MIDI device and the controllers to support the protocol for it to work properly, and support within the DAW to enable comprehensive editing. But this adoption means that this support will hopefully be more forthcoming. In many ways, Capability Inquiry is more interesting and revolutionary. I reported on it after it was presented at the Audio Developer’s Conference last year. 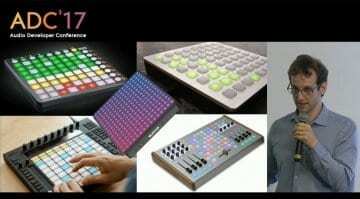 MIDI-CI sets MIDI on a path of evolution. It allows devices to find out things about each other in order to improve compatibility, communication and ease of use. Profile Configuration – this is a set of rules that different types of synth and instrument abide by in how they respond to MIDI messages. So string instruments will have the same controls mapped to the same controllers regardless of the maker of the instrument. So if your controller is set up to control an organ, it will be the same for any organ you load without you having to remap anything. Property Exchange – enables the total recall of the data within software and hardware synthesizers and instruments. This includes patch names, controller mapping, parameters etc. Protocol Negotiation – defines the way two devices communicate and ensure that if they are not able to communicate via the new protocol they will drop back to using basic MIDI 1.0 without a hitch. 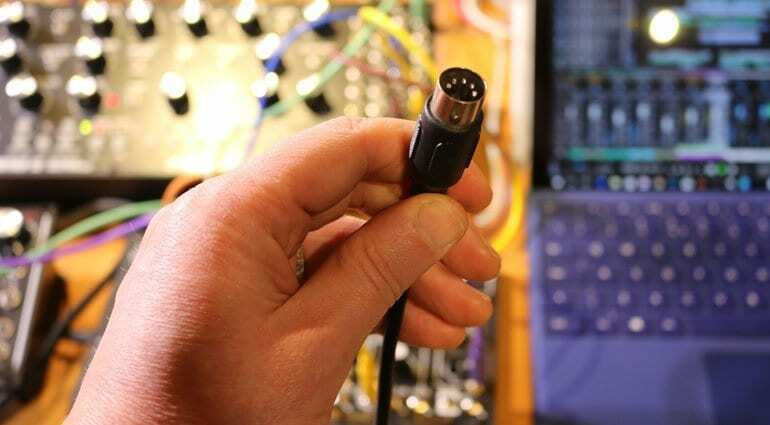 The whole thing drags MIDI into being a much more useful and evolving place. Taking it to places and giving us the advantages that a digital system should have. This is long overdue, but of course getting every manufacturer to agree to work harder to implement something always takes a long time. I’d like to think that my rant about MIDI sucking had everything to do with it.